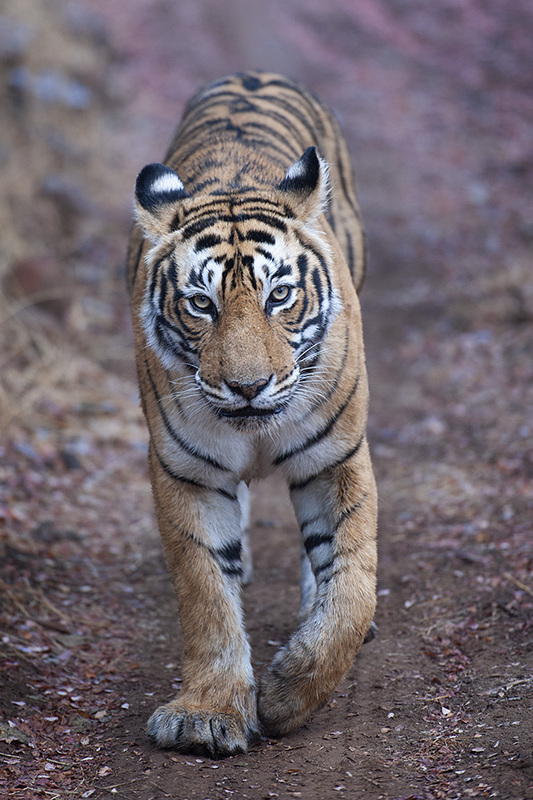 After the exciting sighting of the fearless Tiger cub in Zone-2 of Ranthambore; on our next morning safari, we headed towards zone-5. 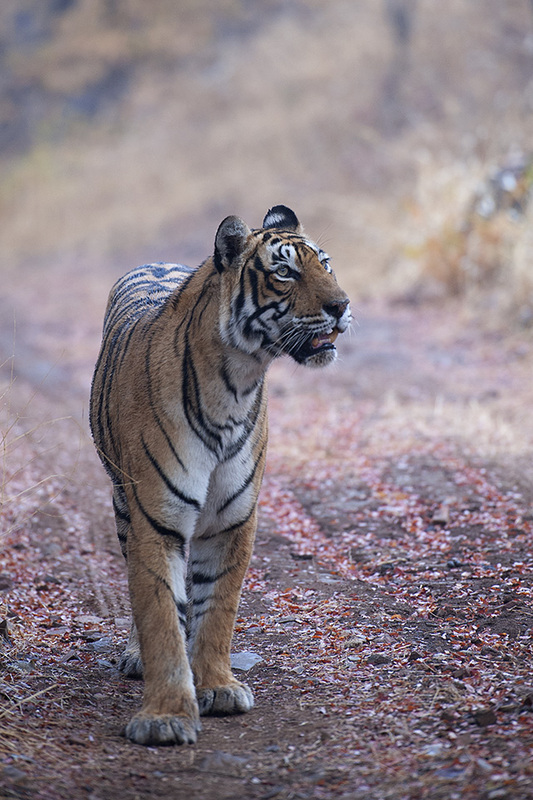 This zone is home to another Tigress, popularly known as Layla. Our search took us to an abandoned anti-poaching camp at the top of a hillock, and we saw a herd of Sambar Deer grazing closely. We then heard an alarm call, in the distance. 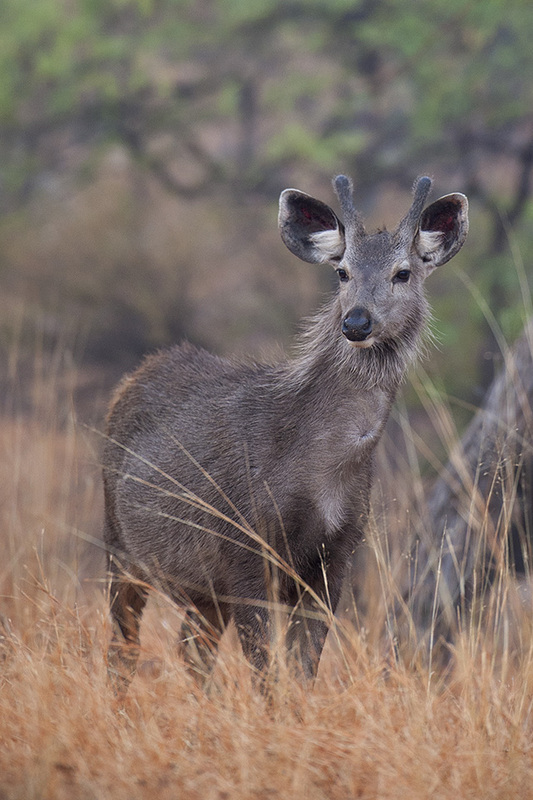 When one of the Sambar Deer took notice and kept listening and looking in the direction of the alarm call, we headed down the hillock. And there was Layla, heading towards the same fork in the road that we were going towards. Our guide pointed out that her normal practice is to head up that fork. So we quickly positioned our jeep ahead. Layla came up to the fork and scent-marked the tree (feature shot) and turned around and started to walk towards us, as predicted by our guide. We kept moving backwards with Layla walking towards us. She stopped to scent-make another tree. 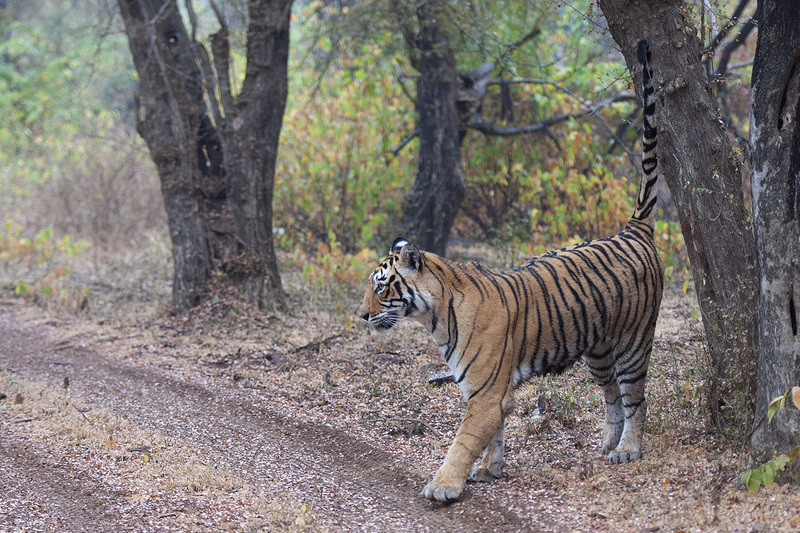 And then she followed us up the hillock. 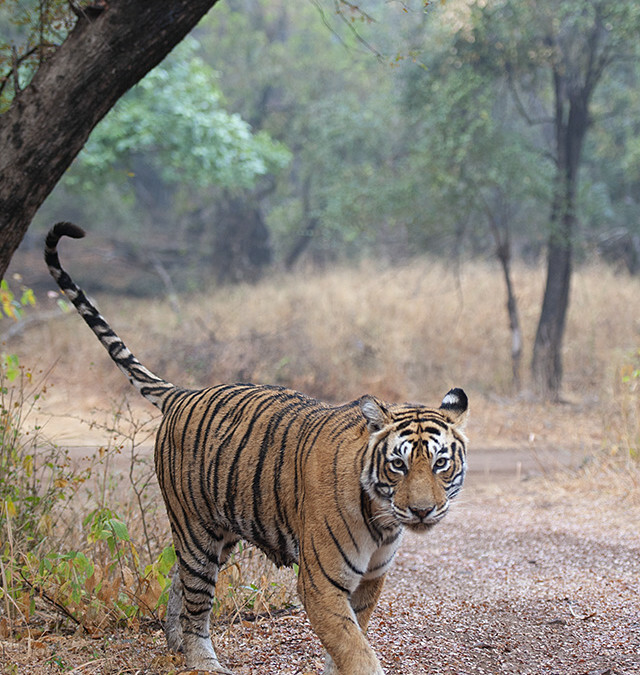 At one point, she was so close to the jeep that you could reach out and almost touch her. She was not at all bothered by the presence of the jeep and went about her daily chores. 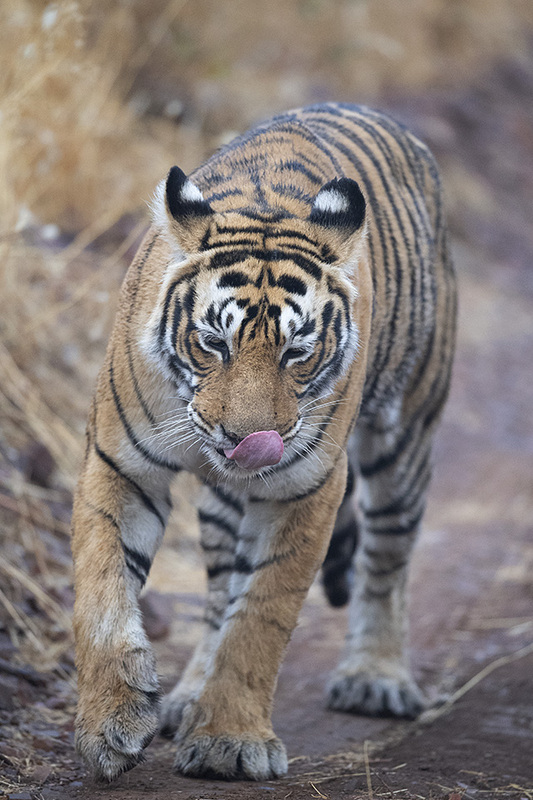 Then came something else, other than us, that attracted her attention and she paused to take a closer look, giving us this lovely pose. Just when the drive was getting steeper and our jeep was struggling to climb up, Layla decided to give us a slip and swerved to the right and headed down towards the ravine at the bottom of the hillock. She was soon out of our sight.